Springbrook is known for its stunning scenery and World Heritage listed National Park with many tumbling waterfalls. A new application has been put to Gold Coast City Council for a property owner to extract bore water for the bottled water industry. The water will be trucked off the mountain in up to 8 large trucks a day, along narrow mountain roads used predominantly by tourists visiting the National Park. It is not known what the cumulative impacts of this water extraction plus the 2 water extractions for bottled water will be. The bores are shallow and are tapping into local aquifers that feed the creeks that create the many waterfalls on Springbrook. The water mining industry is not compatible with a World Heritage area. The impacts of water extraction are vast with potential impacts on local springs, creeks and the iconic waterfalls at Springbrook. “This water will be drawn from wells in the Hobwee Basalt, which is a series of lava flows near the top of the Mount Warning volcano. Seasonal rain fills the porous spaces in the basalt and flows down under gravity to emerge in springs, especially at the impermeable rhyolite, to feed the creeks that form the waterfalls. In the low rainfall months of May through November, the springs are the main supply to the waterfall creeks. Drawing water at the proposed rate for commercial purposes will reduce the water discharged at springs – especially during the low rainfall months. 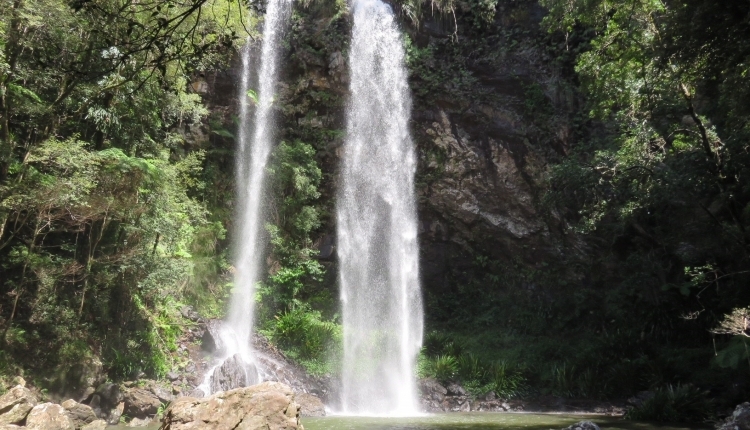 The Save Springbrook's Waterfalls petition to Gold Coast City Council was written by Ceris Ash and is in the category Environment at GoPetition.